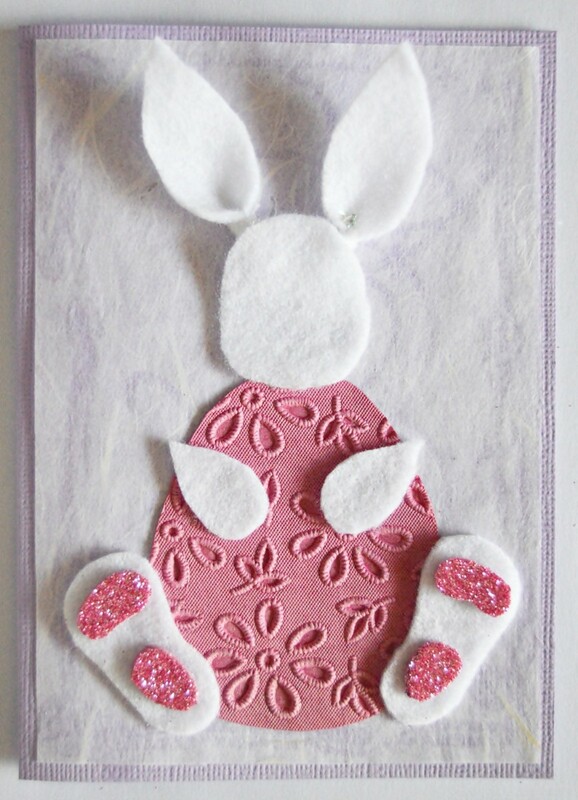 Make this fun card showing the Easter Bunny holding a large pink paper wrapped chocolate candy Easter egg. 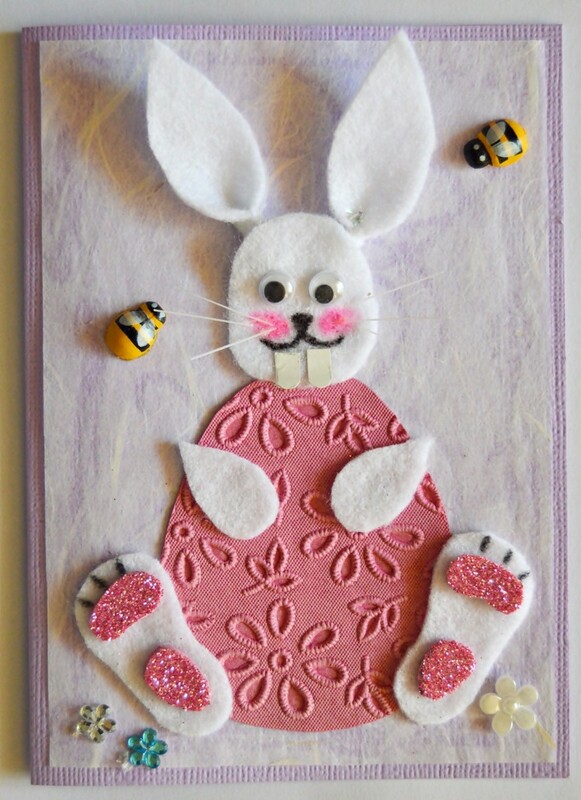 This is a guide about making a chocoholic Easter bunny card. This Easter bunny is a real chocoholic! He found the ideal Easter egg. He is clinging to it for dear life and can't wait to taste it. Maybe - if you ask him nicely - he will share it with you? 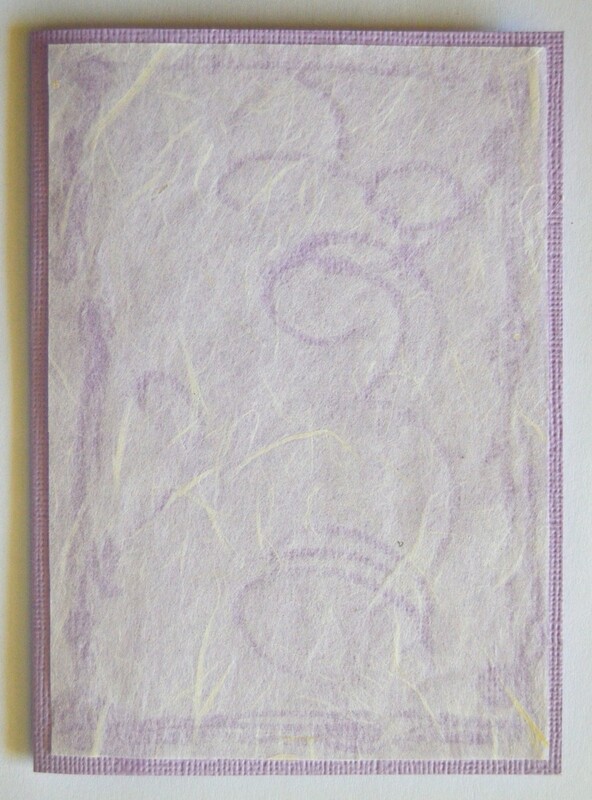 Score the 8.2" x 5.6" purple cardstock to create a card sized 5.6" x 4.1". 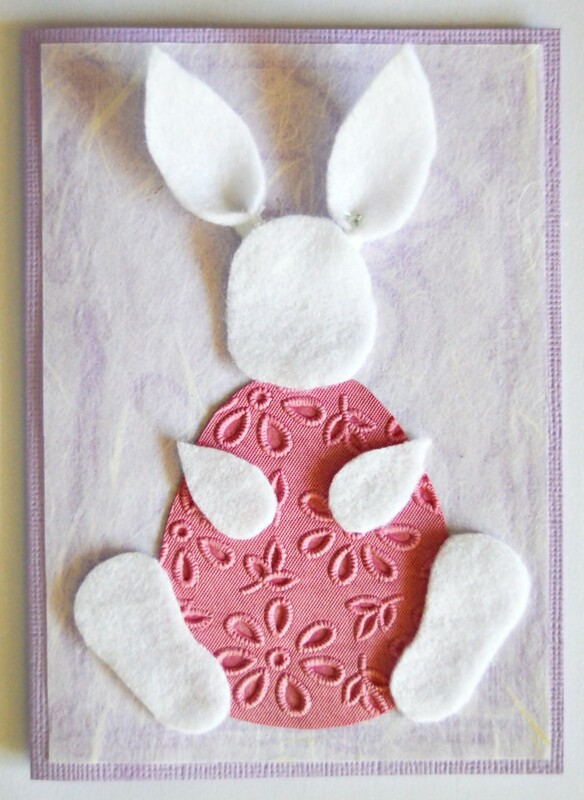 With the fold at the left, centre and glue the piece of tissue paper to the front of the card. Cut the pattern parts from the pattern sheet. 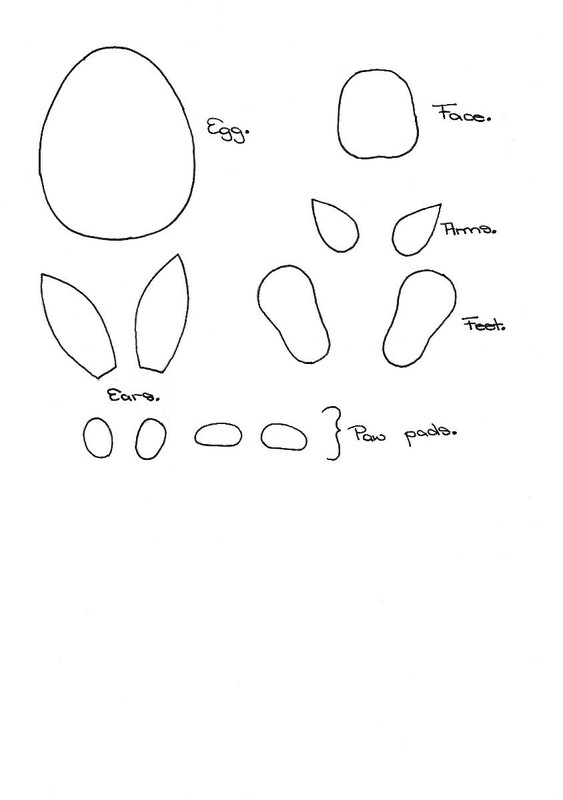 Trace the bunny parts (except the paw pads) on to the white felt and cut them out. 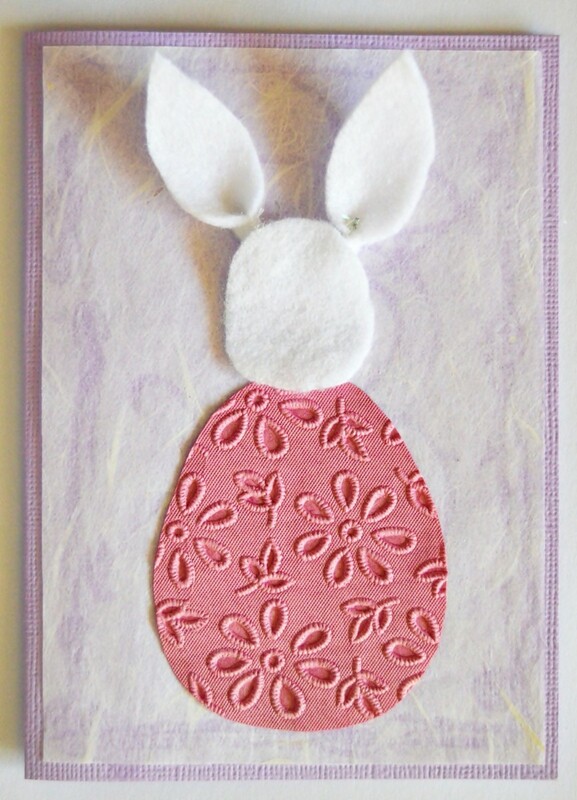 Trace and cut the egg from the pink textured cardstock. 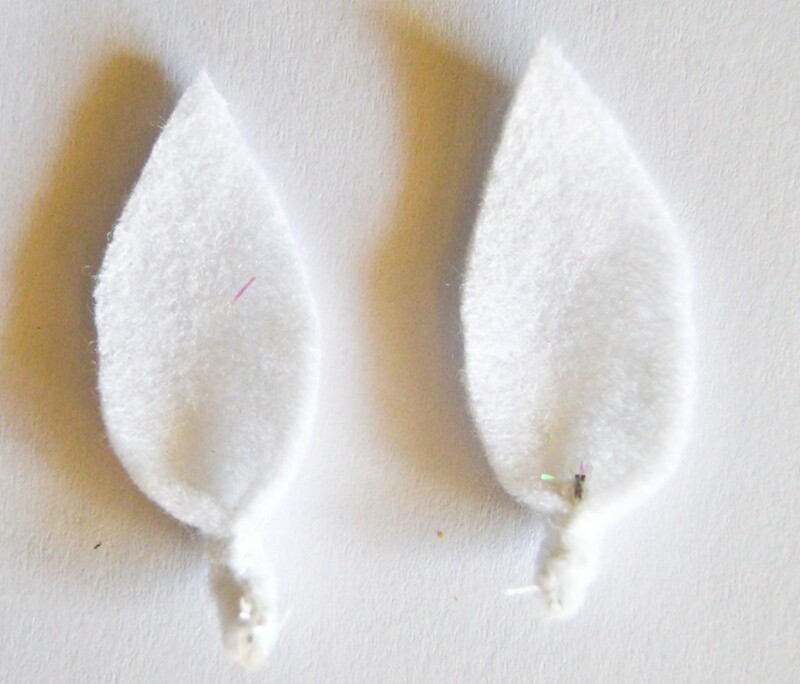 Glue a piece of pipe cleaner to the bottom of each ear. 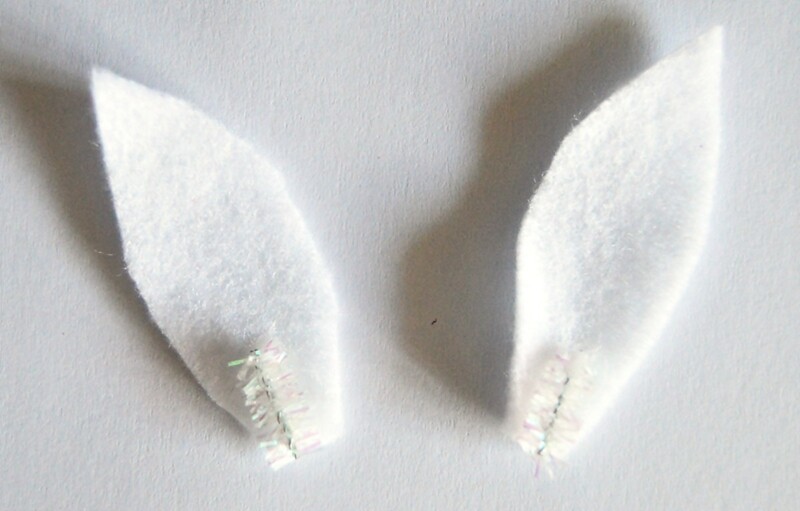 Then sew the side seam around the piece of pipe cleaner to form the curve at the bottom of each ear. 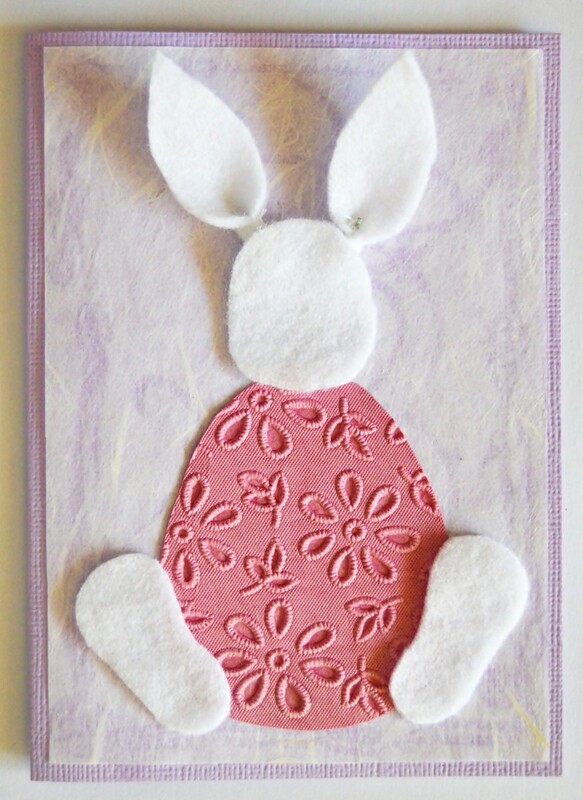 Glue the egg to the card, and then glue the bunny parts to the card. Note: Do not completely glue down the ears. Trace and cut the paw pads from the hot pink glitter foam sheet, and glue the pads in place. Use the black pen to draw the toes on the hind legs. Glue the wiggle eyes in place. Use the black pen to add the nose and mouth. Cut two teeth from the piece of white cardstock and glue them in place. Use the pink pen to add color to his cheeks. Glue the bees and flowers around the bunny, and glue the whiskers in place to finish the card. Great job, Benetta! 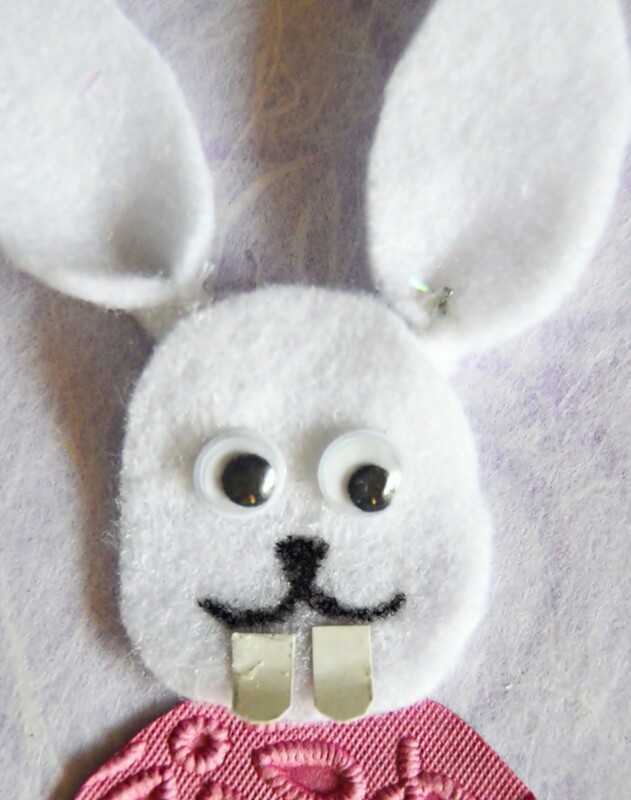 What a cutie this bunny! Thanks attosa! He was a fun project!